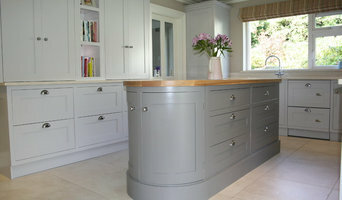 Richard Burke design, create and install handcrafted solid wood kitchens and furniture. Each piece we create is designed uniquely for our clients and handmade in our workshop. We love what we do! We are third generation carpenters who design kitchens and bespoke furniture in Ireland, from our workshop in Castleconnell. Our exclusive designs are handcrafted using premium quality, locally sourced timber. Each design is a unique expression of our core values, quality, sustainability and integrity. We work with individuals, interior designers, architects and building contractors from consultation to completion to ensure our workmanship is of exceptional quality. Our craftsmen and onsite fitting team ensure all projects are finished to the highest standard, creating a well-designed and durable space for you and your family. 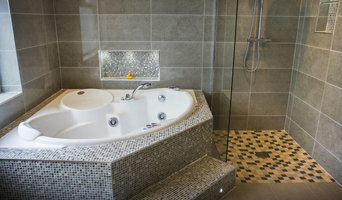 At Bathrooms4U we design, supply and fit beautiful bathrooms, wetrooms and shower rooms at a great price. We complete all of this in 5 full working days, hassle-free, quick, quality make-overs. We also specialise in fitting and supplying mobility bathrooms for those that are less able. Our dedicated B4U construction team work to the highest standards of craftsmanship. Our teams strip and properly dispose of your old bathroom before fitting a new luxury replacement. We are located in four major cities in Ireland - Dublin, Limerick, Cork and Tralee in Kerry - where our Office Headquarters are located. Bathrooms4U - Quality make-overs, amazing prices. Hausmann Kitchens specialise in the design, manufacture and installation of custom- built kitchens throughout Ireland and England. We offer a wide range of kitchen styles, from traditional to modern to minimalist – whatever suits your taste. We at Hausmann Kitchens have over eighteen years of experience and an in depth knowledge of the construction industry, working with architects, interior designers, builders and home-owners throughout Ireland and abroad. Whether your project is big or small, attention to detail is a must for us, as well as the “form follows function“ approach to our client’s projects. Our bespoke kitchens are hand made using only the finest materials from start to finish in our workshops in Puckane, Co.Tipperary (Ireland) The Hausmann Kitchens team will work together with you from concept to design, to build and finally installation, wherever you are located. Discretion is also assured. Commissions are undertaken throughout Ireland and England, projects in other countries can also be realized. Led by RIAI architect Paul McNally, The PassivHaus Architecture Company specialises in Environmentally responsible architecture. 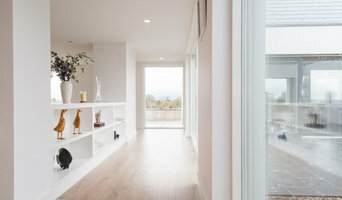 Passive House is a building standard that balances energy efficiency, comfort and affordability. Paul’s unique ability to blend great design with environmental technical ability ensures PassivHaus Architecture Company projects are innovative, dynamic and even award-winning - won for for the Ireland’s first Passive Apartment building and Pharmacy, 2015. Lately, he's most excited by this current project- a dynamic building form in response to site and climate. PassivHaus Architecture Company delight in helping to bring your aspirations for how you work and live to life. We're here to help you ensure your project is viable, from the earliest possible stage. We will meet you, estimate your construction costs, and quote for services up front, before you commission a design. Contact us today to discuss your projects and get started. Our PORTAS Staircase Renovation Service is available nationwide and can transform your existing staircase into a design centrepiece. Available in both maintenance free high pressure laminate finishes and solid wood finishes there is now an alternative to either replacing your staircase or being confined to a carpet finish. PORTAS has been specialising in home improvements for over 40 years, and we at your local outlet, John O’Leary Home Improvement Services Ltd, can combine that with 30 years experience in the home improvements sector here in Ireland. In addition to providing innovative renovation solutions using top-quality materials, we guarantee that the whole procedure will run smoothly, on schedule and at a fixed price agreed in advance. We belong to the PORTAS network, Europe's No.1 Renovator, which has over 500 specialist outlets throughout 15 European countries and over one million satisfied customers! We offer a free in home consultation service for each of our products and our experienced team will be glad to offer you advice on how best to maximise your homes potential. Call us today! We are a one stop shop for all your flooring and joinery needs. 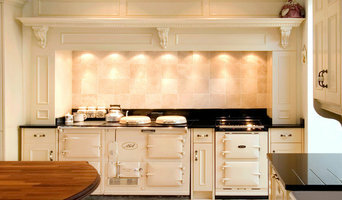 At OʼFlynns weʼre passionate about everything and anything flooring and joinery related. And we believe thereʼs nothing quite like the look and feel of a genuine hardwood floor when it comes to showcasing any interior – be it residential or commercial. Though based in Cork we manufacture, design and fit throughout the UK and Ireland, predominantly fitting our bespoke parquet floors in London. From period character to contemporary minimalism, we understand exactly how wood works and how its incredible versatility grants it the ability to readily compliment even the most diverse architectural and aesthetic tastes. Because of this we can help our clients familiarise themselves with the nuances of different flooring styles, shades and finishes and advise them on what we believe best suits their individual circumstances – both in terms of design and practicality. Our services are tailored to suit projects of all sizes and styles. From a single residential hallway to an entire hotel, you can be confident that our team have the experience and the flexibility to bring your perfect floor to fruition. Just click on the ʻservicesʼ to the left to read more about each element of our offering. Established in 2005, we are an RIAI-registered practice based in Cork City, specialising in the design of one-off houses and house extensions. DMArchitects are a leading RIAI registered architectural practice based in County Kerry. We provide a professional and individualised service that draws on years of experience and personal contacts from within the industry, while still remaining good value for money. 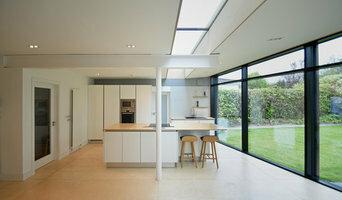 We specialise in innovative new homes and extensions. We are forward-thinking, creative and passionate about creating great buildings. We believe in working with clients to hear their specific needs & tailor solutions to your needs, lifestyle and personality. We help you to realise your grand design, whether it’s your dream home or home extension, or a new vision for your business. We can demonstrate how you are able to achieve the utmost value from your budget by the most efficient use of space and careful selection of materials and finishes. We are an RIAI registered firm, giving our clients the security, accountability and the very best service available. The benefit in working with us is that we provide you with peace of mind throughout the planning, tender and construction phases. Reach out to multiple professionals — especially for larger projects — and don't settle for the first quote you receive. Comparing multiple Askeaton professionals' quotes and experiences can help you find the one that’s best for you. Ask a lot of questions now, so you won't have unexpected answers later. Find a home design professional on Houzz. Narrow down your search by type of professional and location. Browse Askeaton portfolio photos, read client reviews and contact each home improvement professional for more information. Check out the information in the specialised professional sections too for tips on how to hire the right professional for your project.